Rounding out the EXS collection is a set of irons which club architect David Glod declares are “designed to be the longest distance iron in the game.” If early sales figures and internal testing results are any sort of harbinger, his bravado seems to be based more substance than hope. Compared to standard iron sets with relatively traditional lofts, Tour Edge says golfers can expect to gain “8-10 yards on the long irons and 5-8 yards on short irons.” For golfers in the target demographic (20 HC and under), distance is still king, though a comparatively friendlier price point ($100 per club in steel) is likely as much of a magnet as Tour Edge tries to obtain valuable market share from industry stalwarts like Callaway and TaylorMade. The EXS iron set features a hollow-body design in the 4-8 irons and an under-cut cavity chassis from 9-iron through sand wedge. Like other OEMs playing in the new Forged Distance category, Tour Edge engineers leverage open space in the club head to increase and improve specific measurables, such as MOI (forgiveness), ball speed, and the launch/spin relationship. 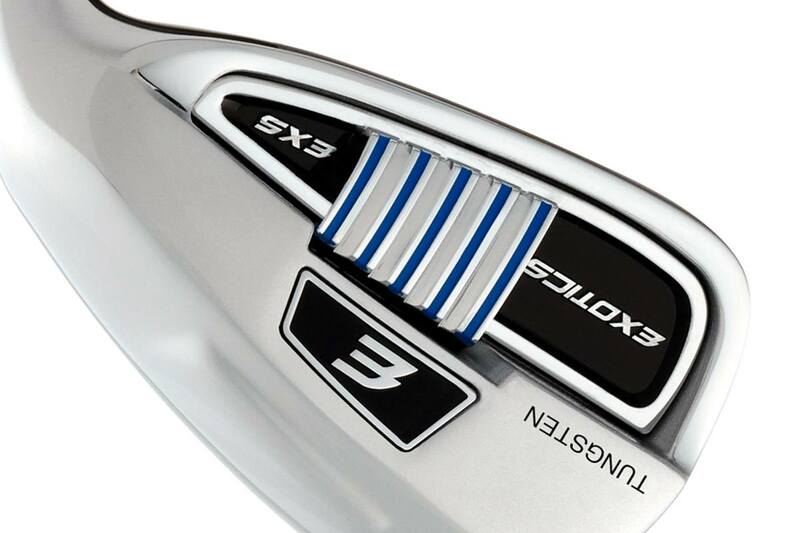 Each technological element of the EXS irons aids in an effort to give players more distance. The Forged Cup face is the thinnest ever used by Tour Edge and its spider-web-like VFT (variable face thickness) pattern works to expand the sweet spot in all directions from the geometric center of the clubface. Simply, a thinner face has more flex– making it hotter. VFT technology increases ball speed on off-center strikes with the spider-web pattern working to extend the sweet spot further toward the perimeter of the club. Tour Edge is far from the only OEM with a hollow-bodied forged distance iron. What’s slightly different is how Tour Edge fills (or in this case doesn’t fill) the void. Some OEMs with similar offerings pump fancy plastics or materials into the cavity to both support a thin, responsive face. Tour Edge utilizes LaunchPad technology – a TPE polymer coated with a performance gel, which absorbs shock and increases face flex. While this technology doesn’t fill the entire cavity, it does use the cavity badging as a point of adhesion, which if nothing else is a point of distinction when comparing like technologies within the forged distance category. Additionally, Tour Edge shifted 19 grams of tungsten to the toe of the club to better align the geometric and physical centers of gravity. It also increases perimeter weighting, thereby expanding the sweet area toward the toe. 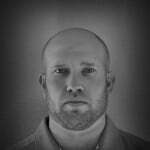 Are the lofts jacked? With a pitching-wedge at 42°, you bet the EXS are strong-lofted, and unapologetically so. Static loft, however, is only part of the conversation. The more holistic approach is to understand how less loft can create more distance without sacrificing the ability to hold greens (decent angle). 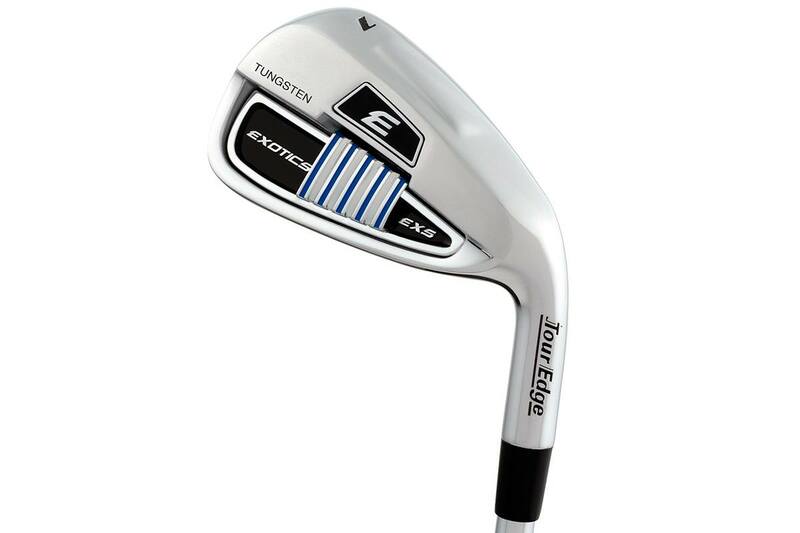 As a line, Tour Edge EXS targets the discerning golfer on a budget. The likely consumer is one who demands maximum value but also cares about aesthetics and playing equipment with all the modern technology. It’s a bit like getting brand new technology at prices closer to close-out models from the previous year. The EXS stock 4-PW configuration is available in both graphite ($799.99) and steel ($699.99). The stock graphite offering is the mid-launch, mid-spin Mitsubishi Tensei which is available in 60g in ladies and a-flex, 70g in regular and 80g in stiff and x-stiff. 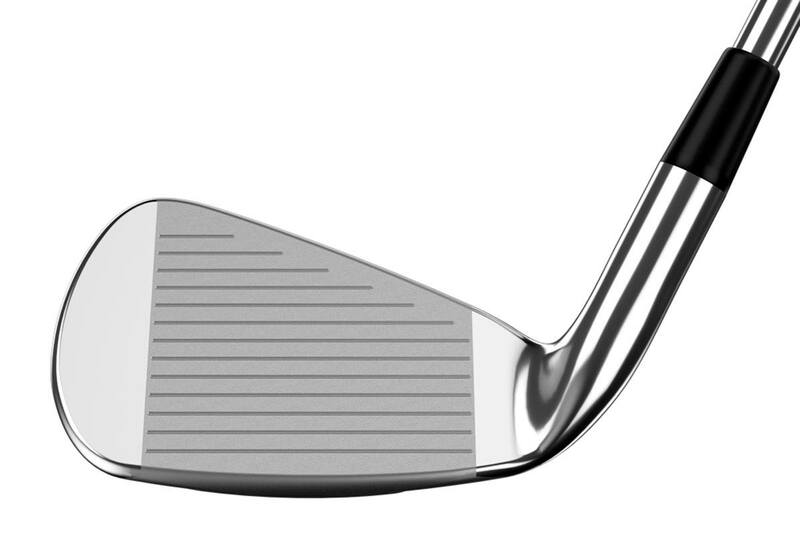 For players preferring steel, the KBS Max 80 is available in both regular and stiff flex. TE has a 30 day trial on the EXS 7 iron. I used to care about “loft jacking” but I don’t anymore. I care about performance. Can I hit the 105 yard club(whatever number it is) straight with enough height and spin to keep it from rolling off the green? Can I hit the 150 yard club close to 150 even if I don’t hit it EXACTLY in the center of the clubface? (like I had to when I was playing my Mizuno MP60’s) Do I have even, predictable gaps between each club. Lofts, numbers on the club, etc. don’t matter; the score matters. Chris if the PW is 42° the AW is 46° the GW is 51° and SW is 56°, are the rest of the irons kind of in the Rogue X irons area? What is about game improvement clubs that makes them less workable. The only thing that shapes a ball is path and face. What is it about GI and SGI clubs that stops you altering the path and face on purpose. Not entirely true. Dynamic loft and impact position (along with mass properties like CG) also play a role in how “workable” any club might be. If they keep this up (loft jacking ) I’m gonna have 6 wedges, 3 irons , 2 hybrids and 2 woods in my bag. I need my PW to go about 115 yards and straight. Jacking loft is completely unnecessary for that end. NOBODY needs more height on a pitching wedge. MY 60 year old MUM can hold a green with a players iron With 47 degree loft. She just needs it to go straighter and have a more forgiving sole. Decreasing the lofts serves ABSOLUTELY NO PURPOSE to that end. Now I don’t care if they call a 9i a pitching wedge but that means the 4iron shouldn’t even exist. Set should be GW,PW,9,8,7 iron with 6 in option. All with 4 degree gaps .then we can talk about it. We can change loft of any irons can change EXS loft to keep 4 degree gap they will do it free….mean from 4 or 7 you keep 4 degree gap to SW….easy!! When a ball launches very high, deloft the club as a default. I’m curious why so many critics read these stories and make the same complaints each time. Only because strengthening the static loft of any given club reduces spin, sometimes to absurdly low levels, and also makes it more difficult for the average golfer to hit the club compared to a more “traditionally” lofted one (D-plane). 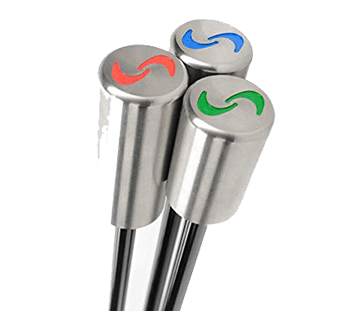 Yes, the increased launch from the lower center of gravity of these irons can partially or mostly offset this as long as the golfer has enough SPEED to obtain that extra height and increased landing angle. That isn’t always the case though, and in some cases weaker lofts will produce greater distances for golfers as they don’t have enough swing speed to produce optimal launch conditions with the stronger irons or woods. This is also why many golfers can hit their 3 wood as far or further (and more accurately) than their driver. Another problem with such strong lofts is that a 42° pitching wedge leaves a huge gap between the PW and SW. But, if these clubs really DO work for a particular golfer’s game – and its not just for an ego boost to say they hit two clubs less than their buddy on the same shot – then carry on. To what end do consumers care about the number stamped on the club? I’m sure there’s a play toward the male ego somewhere in here, but to its credit, Tour Edge is putting the information right in front of everyone to see. What Jack played has little, if any, bearing on club design and use in 2018, so the comparison is perhaps interesting, but otherwise relatively useless. owners will win 18 major golf tournaments? Furthermore, how many Tour players will be using them? It’s never made sense to me why anyone would factor in resale value when purchasing equipment unless we’re talking collectible market type equipment. Resale value has nothing to do with performance, which is where consumers should be focusing time/energy when determining which equipment is best for them. I’ve often felt the discussion of jacked lofts is the “6 of one and half dozen of another “ argument. We all want to hit greens and preferably close enough to 2-putt and occasionally a birdie. Does it matter if you can get there with a wedge but I need 8-iron? Well agreed a wedge is usually easier to hit in theory but truth is many of us are hitting it close with longer clubs. I am. I know this is an outlier but my last round I birdied 3 of the 4 par-3’s one of which was a “2-iron” to 190 inside 6’. Now that was a rare day. My swingspeed at age 71 is much slower than it was but ironically my dispersion is much tighter. Perhaps that is logical because the ball isn’t traveling as far and a miss isn’t going an additional 20 yards left or right but my scoring is actually coming down as my miss’s are less and less. Crazy huh? I know the new tech today with clubs and especially balls certainly is a huge part of straighter shots. I remember hooking wedges that missed greens from 130 that I now hit 8-irons stiff. Yay golf! Aesthetics aside, with a 42deg PW, how the heck do you fill the gap between that and a SW? 46, 50, 54, 58…….I also carry a 62. 16.5 degree hybrid to driver at the top of the bag. Prefer more options around the green. If my GIR% ever gets to what I’d like revisit it then. Tour Edge does offer matching EXS wedges in several lofts 46 degrees and up to help players find appropriate gapping. It isn’t a good looking iron. I think they need to calm the future feel to the irons. Market share has seen a classic look come back. Rightly so. I think this looks very much like a Benross iron. I still play the EX-1s, which are long, forgiving, and they still look relatively good. Exotics are a great product. I also game the CB2 3w which will always be in the bag, barring breakage. I am sure these fall right into line. OK, these aren’t aimed at this demographic. It’s for people who want approachable clubs that might give them a leg up. 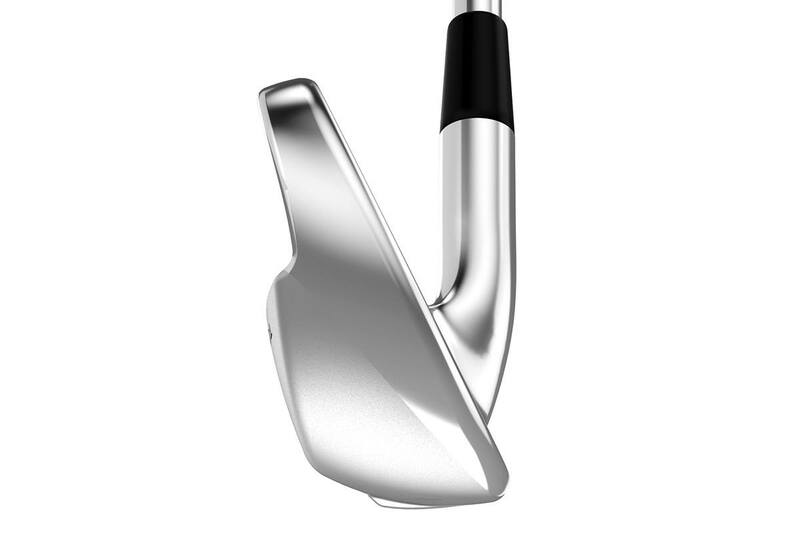 They aren’t VAS ugly, they are decent looking clubs that are likely the right club for people newer to the game or seniors who want easy to hit stronger lofts. I like what Tour Edge does, I’ve had drivers and woods/hybrids of theirs and currently bag the CB Pro F2 which is the best 3 wood I’ve hit in years. I actually look forward to hitting my 3 wood again. Point is, at $699-$799, they are likely a performing good value club.